We focus on Conformation Standards, Color-Purity (4 & 5-generation color pure) Fawn & Brindles, along with Disposition through socialization skills from interactions with other dogs, equine – horses, fowl and people both adult and children. Our Puppies are Farm Raised and Veterinarian Checked when dewclaws are removed. We do not maintain a puppy mill or operate a kennel. 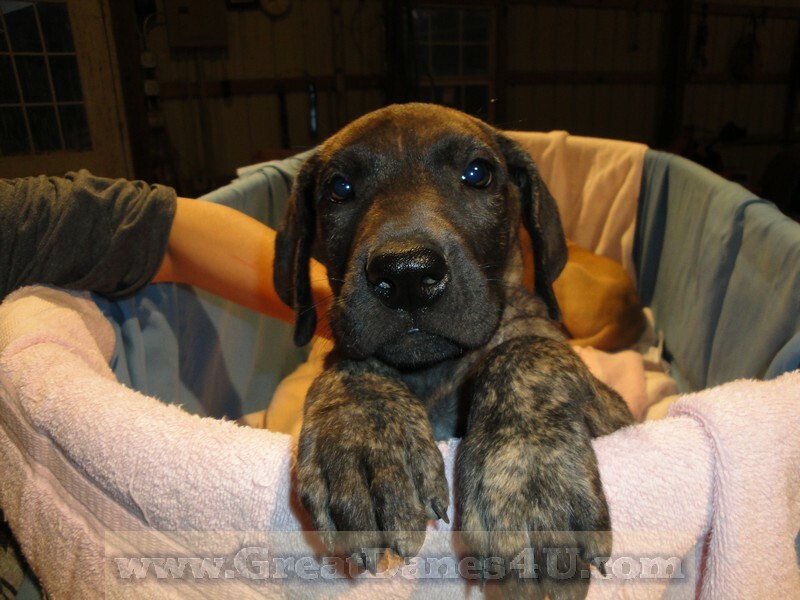 Puppies have been socialized with People, Equine, Fowl as well as various Farm Equipment. The pups have learned from “The Pack”, how to discriminate between people (&Animals) permitted access versus those who enter uninvited. They are Loving, Very Vocal and Protective! We believe our Dogs are awesome due to nutritional and social stimulation lacking in many kennel puppies. Some people feel that certain issues have priority in the raising of dogs and we have ours! These web pages and associated web sites help to distinguish between our dogs and other breeders' puppies. Imagine the difference nutrition plays in optimum health and growth opportunities. Dogs are Canines and therefore carnivores and predators whether people accept it or not. Dogs seldom get to choose their meals but my dogs frequently get choices. To some having blood of champion is worth high dollar, or specific colorations, or size or... We believe that pups that are socialized from the birthing process until transfer are smarter, easier to train, more relaxed, and temperamentally better-adjusted puppies. 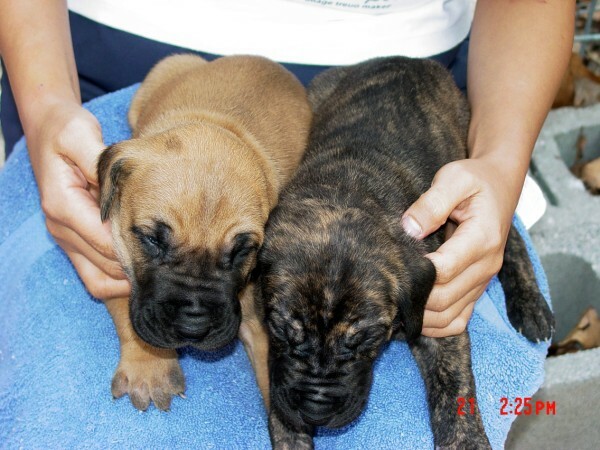 We occasionally nurse or provide supplemental formula to our puppies until about 3 weeks of age. Not only does this produce large, healthy pups but also contributes to the self-worth and wellness that promotes socialization and adjustment to humans. We do price my puppies based on Coloration, Conformation and Size as defined by AKC standards. All my dogs are well socialized but yet maintain separate personalities as children do within a family. We raise Family members compared to those who just raise DOGS. These dogs are 4th and 5th generation color pure – few breeders can match that! Unfortunately too many people do not consider color purity a concern for those we would suggest they consider spaying and neutering their pets. In fact, we encourage most animal owners to spay or neuter their animals unless they have intentions for breeding. Any animal we sell that is pet quality will be sold with limited AKC registration and a spay/neuter contract. 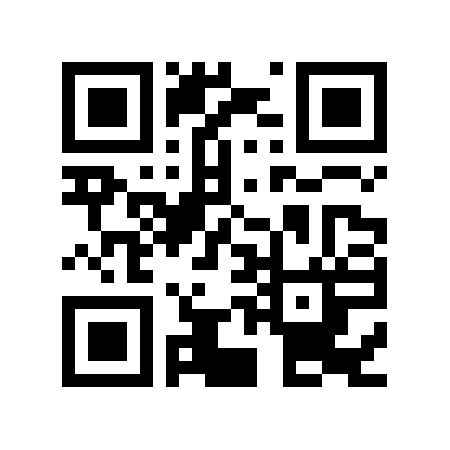 Please check out that link. We attempt to pick proper perspective owners that we feel will be provide the finest of home life for my puppies, mostly as couch potatoes and big fur babies. We can imagine people from other parts of the country have different perspectives and needs other then what might be desired in this part of the Ozarks. Some owners like or prefer a natural look, however some do not. We prefer to allow the customer the choice as to who does what to their puppy’s ears. God is usually awesome, while Man’s work is frequently flawed. It is difficult to reverse man’s errors and prudence suggests the customer should consider carefully before permanently altering the cosmetic appearance of the dog’s ears. To many, and we are of that group, if is just cosmetic, you should not judge the dog by it’s ears’ unless that is where your priorities lie. Some Vets will perform above-mentioned surgeries while I am very jubilant that my Vets at the FGVS clinic and others refuse to mutilate the ears of these lovely animals. In many countries that process of cropping ears is not only discouraged but banned except in extreme cases for medical health! For those people that are easily offended we offer apologies ahead of time, however these are pictures of dogs in nature and these puppies are very healthy and happy! Dogs love to dig in the dirt and enjoy the various smells far more than laying around on concrete and developing sores or other heath issues! For those in search of knowledge and information please investigate to your heart’s content. For the first three weeks or so we occasionally provide supplemental nursing as needed to help provide for health and also stimulate social interaction. From birth, the pups have learned that a sound simple as a coo or purr will frequently result in an action. These pups become much more communicative earlier than pups raised in different settings. Imagine being mostly ignored in a kennel run or worse for 8 – 10 weeks of a puppy’s life. Imagine not learning where to go pee or poop, or when to go outside to use a bathroom. Around 3 weeks of age my puppies will growl and bark as well as chase your feet. By the 4th weeks pups can sing – not howl. The interaction between the litter, fowl and Equine multiple times daily does have a socialization benefit. The PARENTAL impact is tremendous, especially when parents have space to be awesome canines and pass on desirable socially acceptable behavior distinguished as different situations present themselves. We always encourage interested customers to come and visit our animals and see why they are better pets than most other possibilities. The animals benefit from the socialization almost as much as the visitors. If you cannot make the extra trip, we encourage you to take advantage of our web cam capabilities with appointments! As a partially disabled veteran I am usually on the premises 24 hours a day, 7 days a week, 12 months a year. This insures the care I provide is optimal in my efforts in that bad habits are caught immediately and discouraged and good behaviors are continuously rewarded! This extra attention to proper behavior is passed on from Parents to Children, making your training process easier. With assistance from my wife and children, interaction is good and make the rounds of medication go more smoothly. We try to maximize all opportunities to medicate the entire litter to the best of our abilities and the skills of the numerous Veterinarians that work at our Vets' clinic - Fair Grove Veterinarian Service. Many of them and their assistants have been on my premises through the many years we have produced quality pups! Some people do not have access and cannot provide this level of health care and that is their way of doing business – perhaps to maximize a dollar for efficiency sake. That is not one of our goals; rather we attempt to provide the most vaccinated and medically squared away puppies that meet conformation standards. We also try to provide properly socialized family pets to our friends/customers that wish to obtain the family members that we raise! We always encourage calling us with questions as issues arise! Veterinarians go to school to learn proper medications and applications needs as well as safe dosage levels per weight of specific animals, and until we have better education than those who are paid to provide that service, we will refer to their suggestions over those who chose not to use medications to promote healthy puppies! When people spout off about this or that please ask them for their credentials in current standing with applicable licenses. We have discovered many people with “Flappity-Lips” but they tend to lack an appropriate basis for their opinions! We maintain frequent visits and a good relationship with our Veterinarians at Fair Grove Veterinarian Supply. 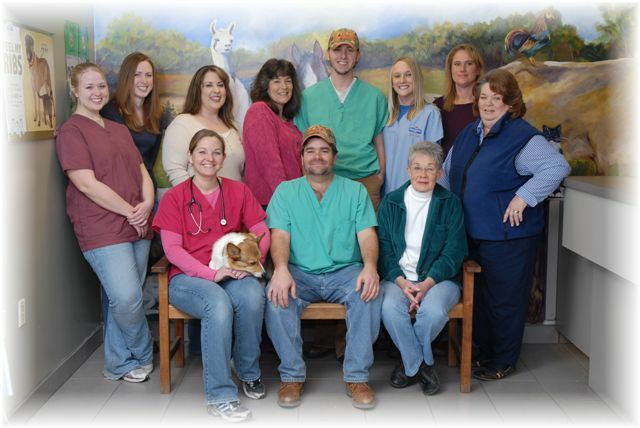 Should you have any questions about us, our animals or how we operate, the Vets can be reached at (417) 759-7803. We also have alliances with other Veterinarians across Missouri and even other states. 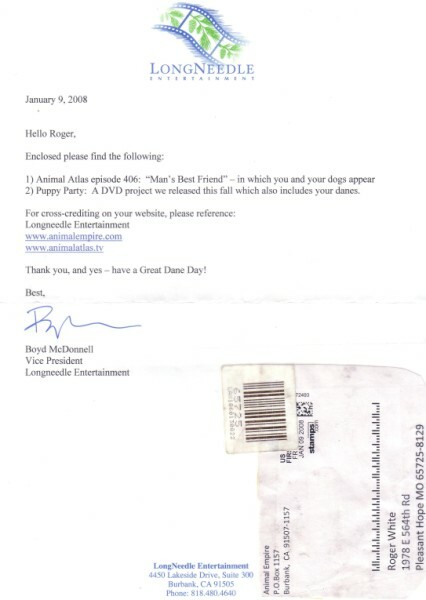 We are always interested in forming relationships with additional Veterinarians! Please refer me to your favorite Vet and vice versa so that should we form an alliance with your Vet, we might then be able to offer you special programs that might be of interest to you! 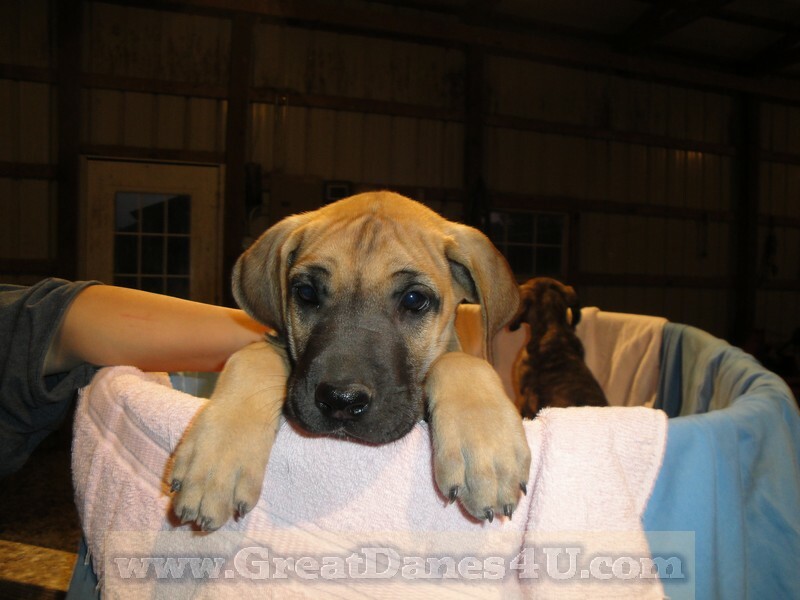 Please check out the link to my list of the Great Dane Medications we use!